Have used this handy app for years for free until it was briefly decommissioned several months ago....oh how I really missed it. My coding moved to a crawl as I had to plow through my CPT/ICD10 books. I went ahead and paid the price of this new version realizing that the ASA and AMA had raised their prices for the databases used for this product....much cheaper and efficient than opening those wire bound books! 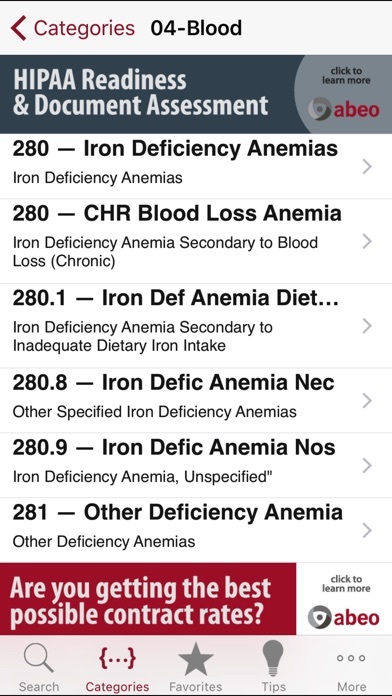 No other app combines CPT, ICD10, and ASA Crosswalk data sets. HOWEVER, I did discover an error in the database.... Knee arthroscopies, surgical CPT surgical code 29881 that is linked to anesthesia CPT 01400 is only worth 4 units, NOT 7 units. 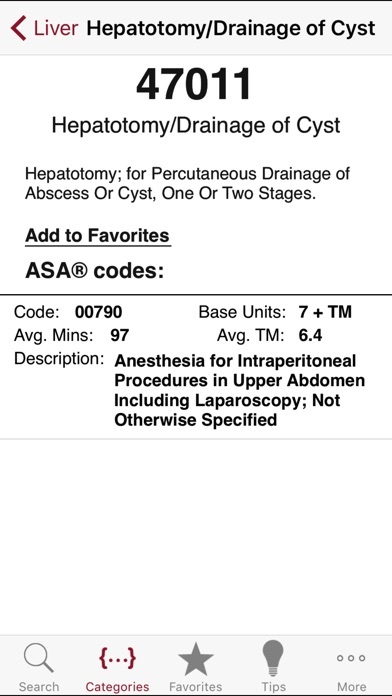 In fact, all anesthesia CPT 01400 are incorrectly given a 7 unit value. Please correct this! 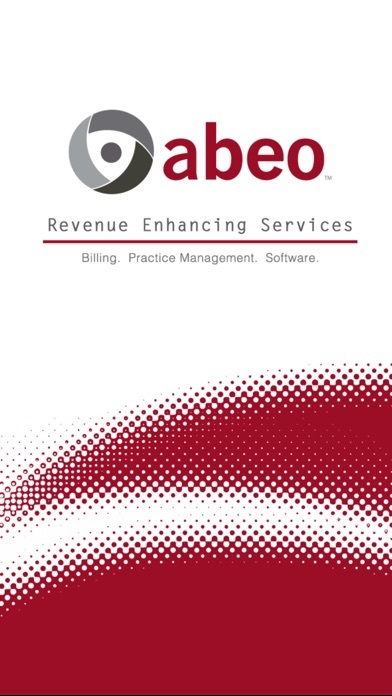 Abeo app was a great app and was a free app. Then the app froze stopped working and when you did the required update they started charging 79$/year. The actual ASA RVU hand copy book can be purchased for less than 30$/year. 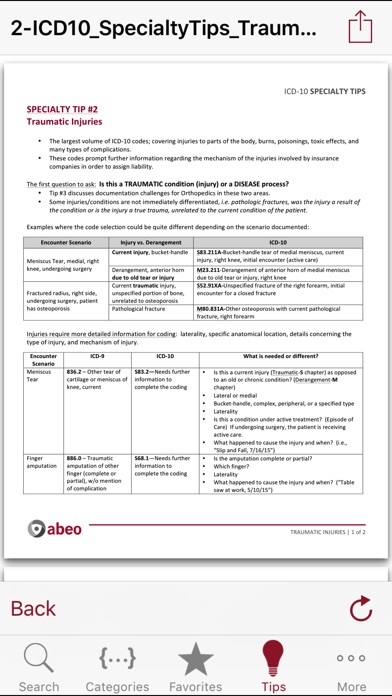 Abeo has definitely gotten too greedy. Would not recommend purchasing for a one time 79$ fee let alone a repeating annual fee. Poor search engine and slow to respond. 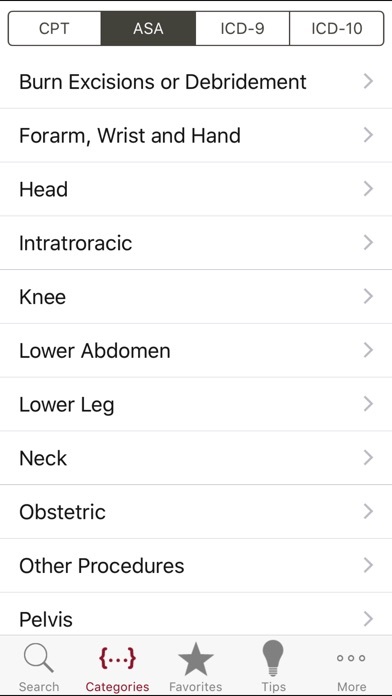 Doesn't drill down to desired CPT codes as it should when you type in a body part. Even though my group is a client, I hate it and use the AMA book instead. I guess AMA got to them... now $79 to see CPT codes, and so the app is now entirely useless to me. Thanks, AMA! I used to rely on this free app to get my CPT codes for cases i've done. without warning the app now wants $80 per year for that. If you have an older version DO NOT UPDATE! I understand that the AMA is probably forcing them to charge this, but come on! The AMA should use my dues to pay for this. Forcing me to pay this much so I know what code to bill a procedure under is extortion. We have CPT code books in all the procure rooms but it's slow and painful to look them up like that all the time. If the books are readily available, why isn't there at least a pdf version available for a 1 time fee? This app used to be my go to for CPT codes but recently it started crashing and not opening. There was no communication that this app would be changed to a pay for use app. I would give it a five initially but the company essentially turned this into ransomware. This is a great app and I'm glad it is working again! Nicely updated. Got rid of the drugs that weren't really helpful and focused on what makes the app great - CPT to ASA crosswalk. Really a helpful app that I use everyday. At first I was not happy with the price increase, but as others have said I guess the developer's costs went up. I think he should communicate that so people understand the reason.